Lupinranger VS. Patranger Nombre 17: Le Love Story Of Keiichiro? 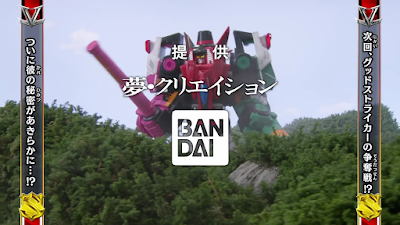 Well as I said and I said it, le flow of my Goggle V rants will get interrupted by my focus this year namely le Lupinranger vs. Patranger episode reviews (and no, please DON'T ask for scans from me as my friendly rivals such as Ukiyaseed and Nihon Hero are covering them up). This week's episode well, leaves me crying for a short while due to the J-Drama element in it. I can't help but feel sad in some way with how the events unfolded. 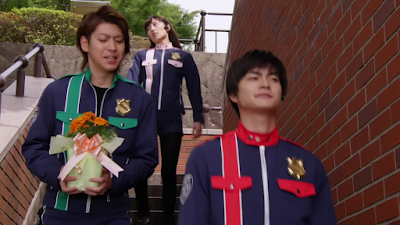 A young aspiring pianist named Mana keeps giving Keiichiro some flowers. It's obvious that they have feelings for each other but neither can blurt it out. 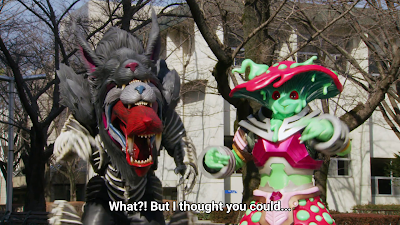 It just reminds me of those awkward moments in Boukenger where neither Satoru nor Sakura could blurt out that they truly felt. In this case, it feels a little more "grown-up" than it is played for laughs. 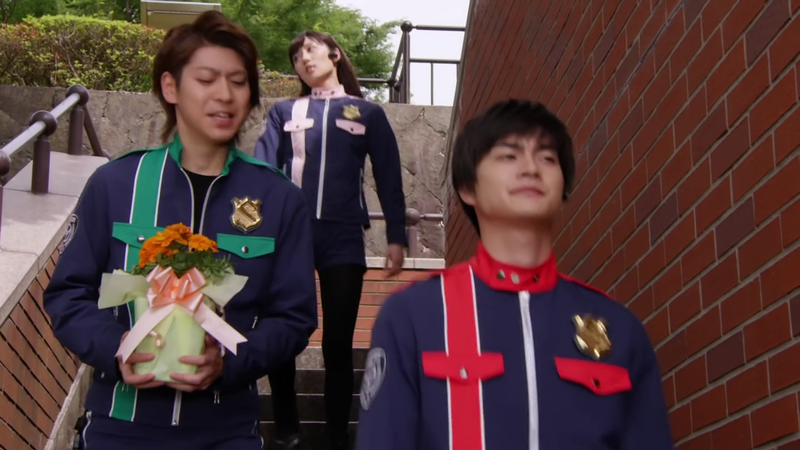 Is it me or is Keiichiro THAT bullheaded even towards romance? Maybe Sakuya has more common sense especially when he notices that one thing -- Mana obviously likes Keiichiro and the other way around. 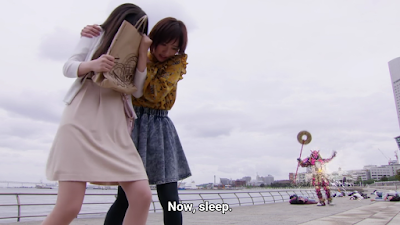 I feel Tsukasa's frustration too especially that she's a woman. Le new Gangler monster named Nero appears. I noticed how Nero's name is frequently used a lot in villainy such as Tiger Nero in Kamen Rider X (though I never saw le series), the rather cruel Emperor God Neros from Emperor Metalder. So why did they name this monster Nero? 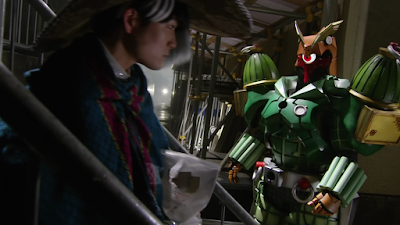 He looks more like a Greeed in Kamen Rider OOO or a Lord in Kamen Rider Agito. He sends people into wonderful dreams while draining them of their energy. Well after all -- Nero is so infamously cruel and incompetent that his name tends to be used in villain -- a LOT! There's this scene where Umika goes to Mana's place. It's really full of flowers. What's so sad is that well, Mana will be going to Austria for her studies. So le ideal plan is to get them up for a date which doesn't go so well. I feel Umika's frustration one way or another even if I'm a man. All that Keiichiro could say is I'll pray for her success? 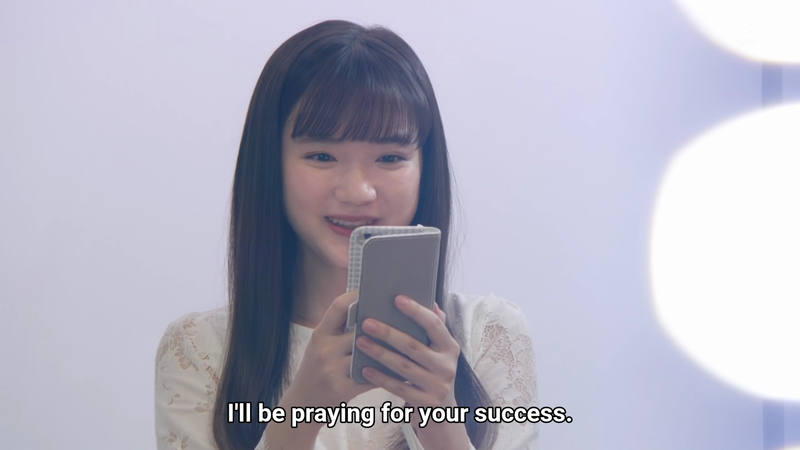 Come on, praying for someone's success is not spelled out or even synonymous as "I love you." Whenever I pray for le success of anyone of the opposite gender doesn't mean that I automatically have romantic love for said person! Yet, I could relate to Keiichiro here especially when I once had feelings for someone too and that's all I could say. Welcome to the Dream World. It's really a place where your happiness drains you to death. It's a beautiful deception by Nero. People felt like that they were having everything yet they were slowly drained. I laughed at how Sakuya's crush on Umika is made even more manifest. 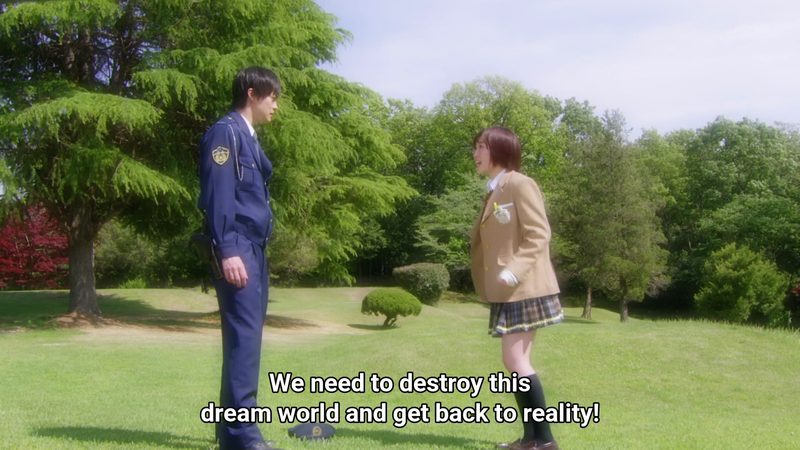 Fortunately, even a dumbass like Keiichiro was able to do something right. He practically SHOT holes at le Dream World's sky and free everyone from le deception. It frustrates me to no end and say, "WHY KEIICHIRO WWWWWWWHHHHYYYY?!" I see how Mana has a smile on her face as she sees that le Patrangers themselves have won the day. 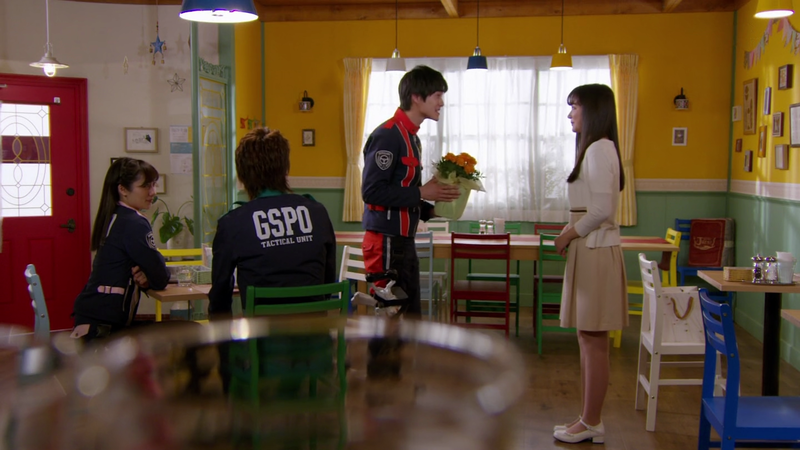 She has a smile on her face and repeats le same words Keiichiro said to her back in Le Bistrot Jurer. She rides le plane flying to Austria. Meanwhile, it's really something to think about. Aside from the obvious Masky Blade shaped Lupin Collection piece -- this episode reminds me of the seventh episode in Maskman where Kenta falls for a girl and doesn't pursue her. I guess that's the same with Keiichiro. Kenta forgoes pursuing his love interest because they still have a duty to defeat Tube. 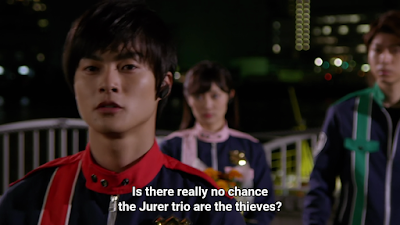 Somehow, Keiichiro feels the same about le Ganglers. 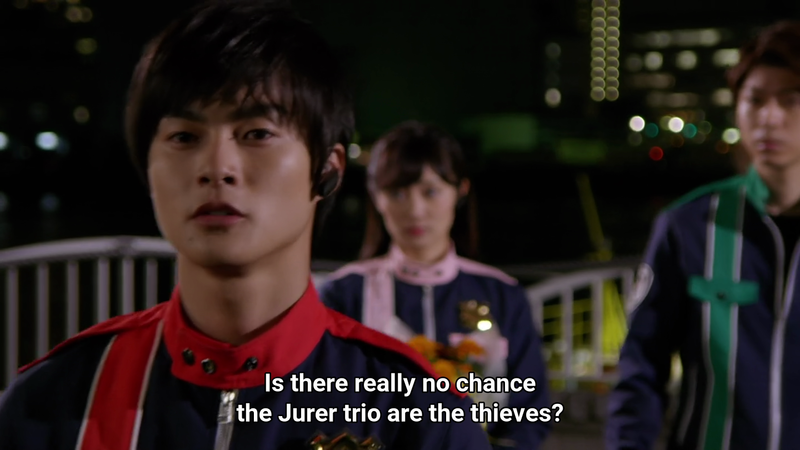 At le same time, Keiichiro is now starting to have his instincts awakened when he starts to have more suspicions that le Jurer trio are indeed le Lupinrangers. Meanwhile, Zamigo and Destra meet each other. So what information has Zamigo given to Destra? 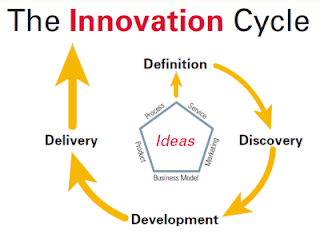 It really makes me think about what could be next. 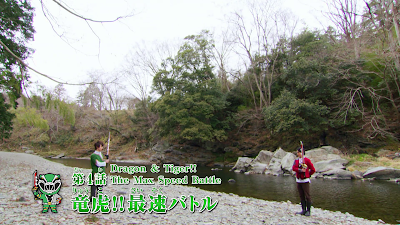 Next week which would be the 18th episode -- both le Lupinrangers and Patrangers will fight over Good Striker. Just who is Good Striker and why does he help both sides? When will we see le sixth ranger who's both Lupin-X and Pat-X? Also, it looks like that both sides will have to join forces sooner or later whether they like it or not. TBH, I can't wait to see next week's episode.